This is surgical medical malpractice lawsuit filed by a woman in Montgomery County without a lawyer. This case was filed in the courts in 2016 but was dismissed without prejudice. This means plaintiff can refile the lawsuit as she did in Maryland Health Claims Arbitration on January 27, 2017. This is 44th medical malpractice suit filed in 2017 in Maryland. Plaintiff has a supracervical hysterectomy done at Shady Grove Hospital in Montgomery County. 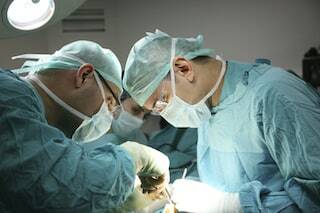 Before the procedure, she discusses it with her doctor, and asks him to save copies of images both before and after the surgery. Plaintiff has no complications during the surgery and is taken to the recovery room in a stable condition. Plaintiff alleges that her head cap is removed, and the nurse does not inform her where it is. Plaintiff asks for another one, but she claims no one helped her find another one or gave her any answers about where hers was. Plaintiff alleges this was malpractice, disrespectful, and harassment. Plaintiff's husband spends the night with her in the hospital. She alleges the nurses keep going to and from her room very late into the night, causing her to be unable to sleep. She tells one of the nurses to never enter the room again for the remainder of the night, as she claims these interruptions were unnecessary and that she needed to rest. The nurses temporarily stop entering, but after a few hours, enter her room again. A nurse enters to change the woman's intravenous drip, but ends up spilling the solution on the plaintiff, without apologizing. The plaintiff's husband helps her dry off and covers her with blankets. Plaintiff alleges this was malpractice due to the emotional and physical stress it created. The following day, plaintiff asks a nurse for the images she had requested before surgery. The nurse brings her two "identical" images. She asks the nurse to explain them, but the nurse informs her that the doctor will do this. Plaintiff alleges the doctor does not tell her much about the images or why they were identical instead of before and after. The doctor tells her he will ask radiology if they have more, and he verbally describes her discharge notes, telling her it is okay to shower that night. Once plaintiff gets home, she takes a shower in the evening, and then goes for a short walk in her front yard the next morning. However, she discovers blood running down her legs, coming from her naval. She calls the doctor, who tells her to put a band-aid on it. Plaintiff alleges the following morning she wakes up in a pool of blood, as the glue they used to seal her after the procedure became detached. Her husband calls a doctor friend, who tells them to make sure the wounds are free of water for at least three days. Plaintiff goes to check her discharge instructions, where she finds that the boxes for when and how to take a full shower or walk are not checked. Her husband rushes her to the doctor's office, where he sutures it. During the next follow-up appointment, the plaintiff is still not provided with the before and after images that she personally requested. She is given an empty CD. She asks for another copy, and then receives an x-ray report for a chest x-ray a few years prior. She goes back and forth with the hospital multiple times, trying to get the images. She does not receive anything, as the hospital tells her that they do not have any images from the surgery. Plaintiff alleges that it was a mockery for them to give her "fake" images immediately after the surgery when they really weren't hers. Plaintiff also makes a claim relating to the billing department after the surgery and her account going to collections. This lawsuit is not styled as a legal complaint but is written as a narrative letter. Litigation is extremely hard without a lawyer. Pursuing a medical malpractice case without a lawyer is nearly impossible. The vast majority of lawyers barred in Maryland would struggle to get a medical malpractice case to a jury because they would make some fatal mistake along the way. The fatal mistake in this case is obvious. Plaintiff will need to file a Certificate of Certified Expert and a report from a medical doctor alleging a breach in the standard of care and injury from that breach. There should be a law in Maryland at pro se plaintiffs are notified of this fact. This woman's statute of limitations probably tolls in June. If you have been injured due to the negligence of a doctor or hospital, Miller & Zois can help you get the compensation you deserve. Get a free case consultation online or call our attorneys today at 800-553-8082.